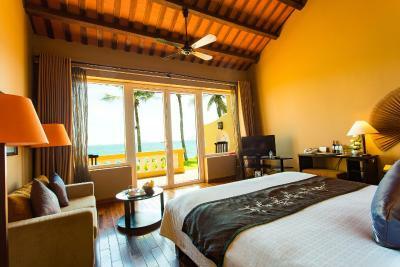 Lock in a great price for Victoria Hoi An Beach Resort & Spa – rated 9.1 by recent guests! Amazing private beach, great spa, and loved the pool area! the staffs service is above and beyond!! 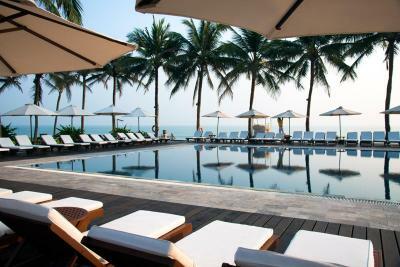 probabbly one of the best i have stayed ( have stayed among many luxury resorts throughout vietnam). Have a little hiccups with the sauna facilities as the steam bath room was broken but still the staffs were putting guest comfort at their ut and foremost concerns throughtout the entire start. Will comeback without a heart beat! The bed was very big and comfy; great balcony. Super service, very friendly. Fabulous pool area. Good happy hour and charming free nightly activities. Cheap massage special, too! 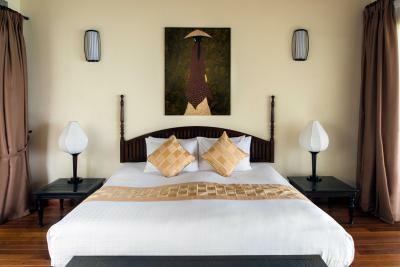 This was the 5th place we stayed in Vietnam on this trip as we travelled from North to South and it was my favourite. It was also the most expensive as wanted to treat ourselves and stay somewhere near the beach We had a junior suite overlooking the ocean, and were very close to sand beach. 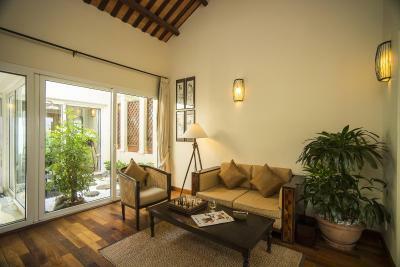 The property was beautifully maintained, with lush gardens and water features. The pool was also nice and overlooked the ocean. The staff were very attentive and it was very easy to get around using the shuttle bus, free bikes and walking. I am an avid reader so enjoyed making use of the library. The breakfast was great and liked the daily offer of a local speciality. The free water including sparkling mineral water was nice. The conviviality and ready to help staff. The a la carte menu. The chef is great. Excellent service from delightful staff- always happy to help. For those not wishing to stay in central Hoi An this is a great alternative as a shuttle bus from the hotel and also a shuttle boat make very regular trips into Hoi An. I rate this very highly for families and couples too provided they are happy with children ruling the roost in the pool. It was not a problem for us. The ocean front suites are fabulous. We stayed in a Japanese themed room. Outside shower! 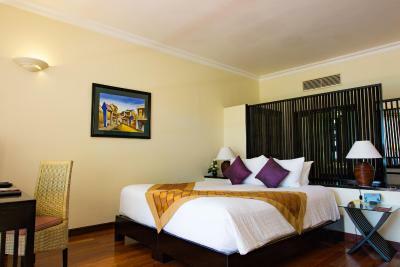 Victoria Hoi An Beach Resort & Spa This rating is a reflection of how the property compares to the industry standard when it comes to price, facilities and services available. It's based on a self-evaluation by the property. Use this rating to help choose your stay! 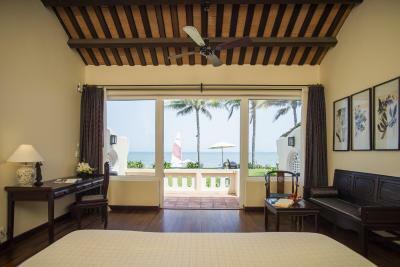 One of our top picks in Hoi An.Located along the shores of Cua Dai beach, Victoria Hoi An Beach Resort & Spa features an outdoor swimming pool and provides well-furnished rooms with free WiFi access. The resort has a dining option on site and guests can enjoy free private parking on site. 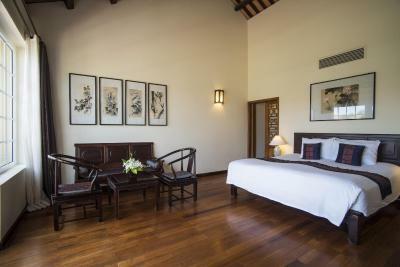 Featuring Vietnamese, French and Japanese decor, all spacious elegant units have a sofa, wardrobe and ironing facilities. A private balcony and cable TV are included. 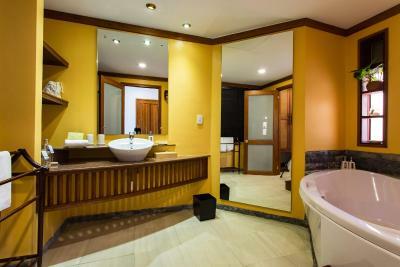 Private bathroom in each room is equipped with a bath/shower, hairdryer and slippers. Room service is available on request. Guests can work out at the fitness center, sweat it out in the sauna room or relax with body and facial treatments at the Victoria Spa. Staff at the 24-hour front desk can assist you with luggage storage, currency exchange, express check-in/check-out and airport transfer services. 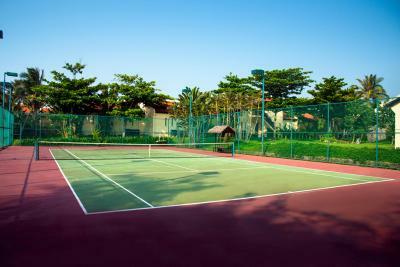 Other facilities include a garden, sun terrace and a game room. 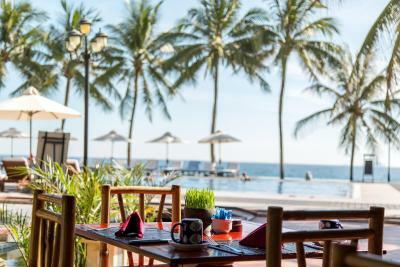 Overlooking the sea, L’Annam Restaurant is an all-day restaurant serving local specialties, Asian and international delights. Seafood is also available. 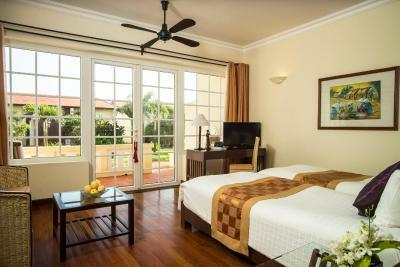 Victoria Hoi An Beach Resort & Spa offers free use of bicycle and free shuttle service. 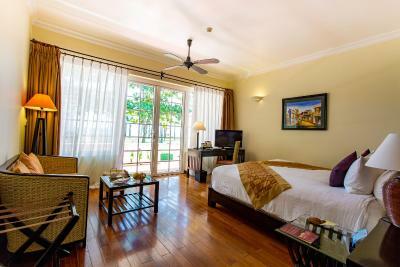 It is 3.1 mi from Hoi An Ancient Town, a UNESCO World Heritage Site. 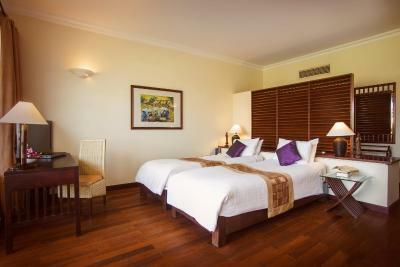 Danang International Airport is 19 mi from the resort. 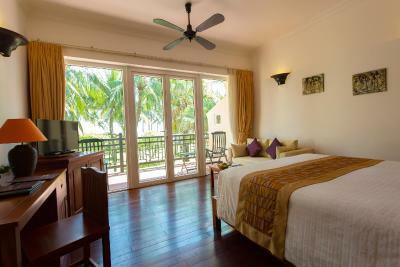 Cua Dai is a great choice for travelers interested in relaxation, beaches and food. 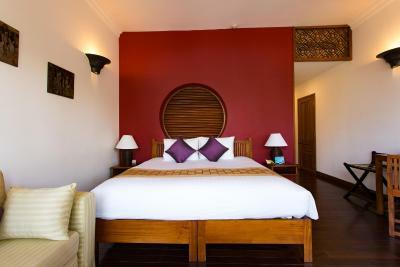 When would you like to stay at Victoria Hoi An Beach Resort & Spa? 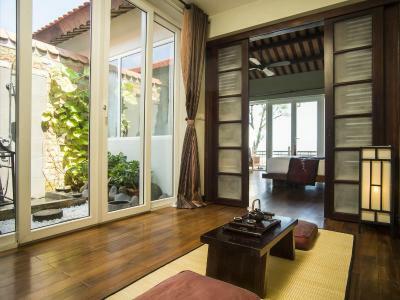 Offering garden views, the air-conditioned room features a cozy seating area with sofa, and a private balcony with sun loungers. Private bathroom comes with a bathtub. 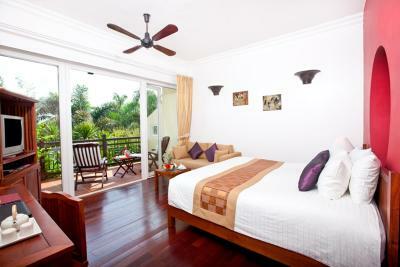 Located amid the garden, air-conditioned room features a balcony, personal safe and a hairdryer. Attached bathroom is fitted with shower facility. 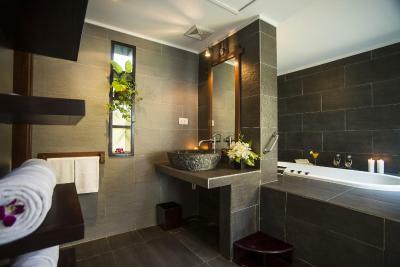 Featuring Japanese style, this large, air-conditioned suite features a separate seating area which opens out to the outdoor shower, a private balcony with sun loungers and private bathroom with a spa bath. 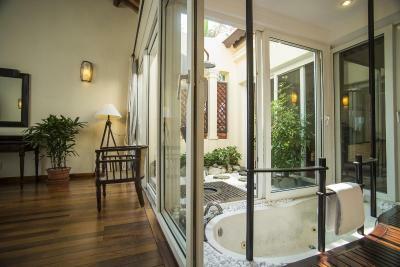 Overlooking the ocean, this spacious suite features an outdoor shower, an attached bathroom with spa bath and private balcony with sun lounges. Offering river views, the air-conditioned room features a cozy seating area with sofa, and a private balcony with sun loungers. Private bathroom comes with a bathtub. Area Info – This neighborhood is a great choice for travelers interested in relaxation, beaches and food – Check location Great location - show map Guests loved walking around the neighborhood! 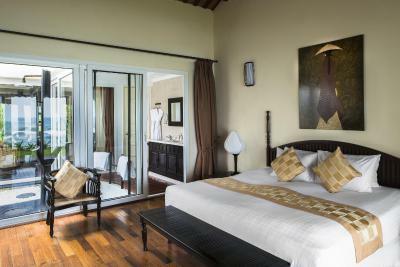 House Rules Victoria Hoi An Beach Resort & Spa takes special requests – add in the next step! Victoria Hoi An Beach Resort &amp; Spa accepts these cards and reserves the right to temporarily hold an amount prior to arrival. Victoria Hoi An Beach Resort & Spa accepts these cards and reserves the right to temporarily hold an amount prior to arrival. A little high costs at the hotel bars and restaurants and high costs for the hotel transportation to the airport. Staff were very helpful. Breakfast was excellent. The activities that were provided were good. Great location with pool and decent gym. Frequent free shuttle bus to Hoi An was an extra plus. Rooms were clean and good. everything was amazing. Pool is very nice and clean and the staff are wonderful, buffet is extensive! We ate dinner at the hotel a couple of times (which was fine), but really should have gone into town more and made the most of the fabulous range of bars and restaurants. There are plenty of cheaper options, but we’d go back. The beach location, rooms, breakfast and staff were great. We made good use of the shuttle bus into the old town, but also discovered the taxi was not expensive. There are plenty of recommendations and activities that the hotel can arrange for you or it is also very pleasant lounging on the beach. Very clean and well looked after. Fantastic setting with private beach, two catamarans one wind surfer, two kayaks and several paddle boards. Gym was limited but had techno wrack, several running machines, cross trainer and loads of massage rooms. Fabulous rooms with coffee maker, good bath salts and lotions. Shower was in the middle and open to the stars. Separate bath-whirlpool. Breakfast was quality fruit, cakes, fry up and noodles awesome. 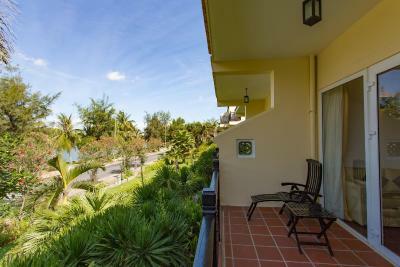 Rooms close to the sea, bar on the ocian and safe swimming pool. This is one heaven of a property. Down to every detail of design in the gardens to the furniture. Do not miss the upstairs library and billiards room. Breakfast is a feast better than Hilton where I normally stay. Seafood buffet is tasteless catering to the western palate so it’s the fly in the ointment. The sea is squeaky clean and very safe to swim. The hotel lifeguards on the beach front are polite and helpful and super nice. The reception has competent staff and the porters are great. Even the ubiquitous gardeners are nice. I have to rate this hotel as fantastic. I will be back! Exceeded expectations - the resort is much nicer than depicted in the photos on this site, their own site and other travel websites. Maybe it’s just that you can’t get the whole picture together in photos. The grounds are lovely, the service is as well (so very helpful), breakfast is fab, and the ocean front rooms are sensational - fall asleep to the sound of the waves. We will be back soon. 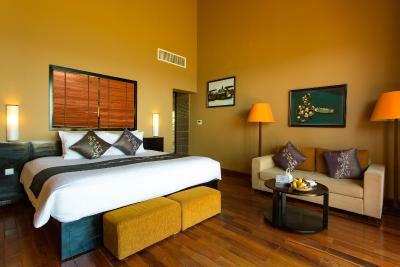 Comfortable rooms, excellent facilities and meals. Staff were extremely pleasant and welcoming, nothing too much trouble. The pool was very big and a great temperature. The food in the bar area and pool area was excellent. The hotel is beautiful, pool area outstanding and to have a private beach too was fantastic. 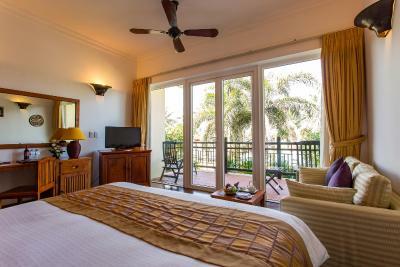 Our garden room was quiet with a great balcony and was serviced really well, room service was very efficient. The staff were all excellent particularly the girls at breakfast and the spa was fantastic, I had a great massage with 20% off which was a nice touch - we miss it already and will be back. It was a beautiful resort and the buffet breakfast best I’ve seen. The food at restaurant was lovely and great selection.